i can’t get the curved routes exported properly with the garmin Shaping Point anymore. 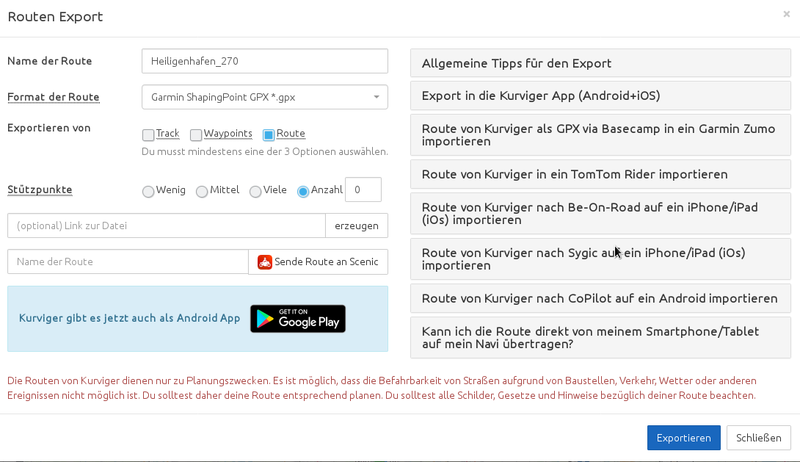 https://kurv.gr/q6Fdf the route has 53 points, after the export it’s much less, no matter with which options i export. Did I just forget everything during the winter, or did something change ? 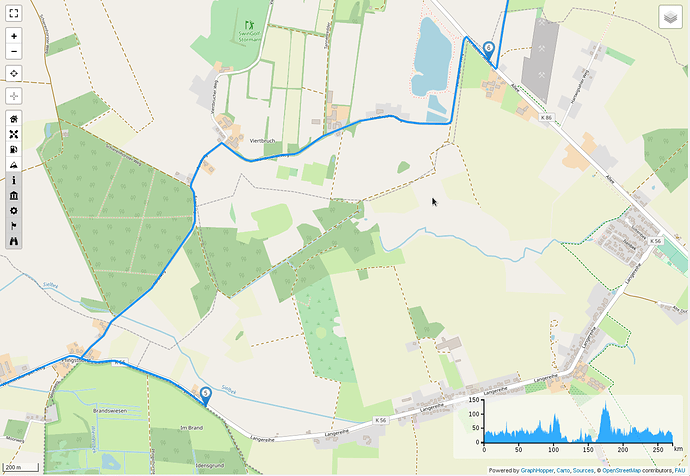 Pb; After Reimport the GPX data into Kurviger i see less points, but in RouteConverter i see more points… ? when I export your route, I get exactly 53 waypoints between start and end. You can check the exported *.gpx with an editor. It is human readable. When I reimport this, there are still 53 waypoints. BTW: Do you really need so many waypoints? Waypoint6 i.e. is ~30m away from the next intersection. I would recommend to place waypoints far away from intersections — in the middle of the road you want to ride. You are of course right, a few points are botched. and not the Garmin (BMW Navigator 6) crap. 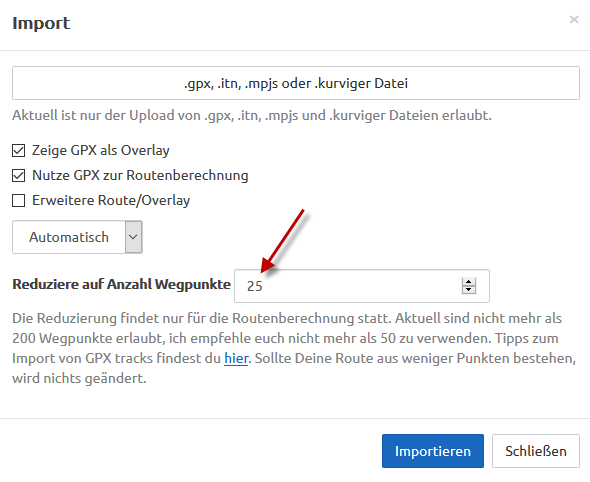 I described it shortly in Converter Kurviger Routes for newer Garmin / BMW Navis (Konverter Kurviger Routen für neuere Garmin Navis) here in the forum and more detailed in help of converter.